36* timing...am I reading that correctly? Lem Evans wrote: 36* timing...am reading that correctly? Flat top motor. Without a dome that chamber won't need a lot of lead. Spoke with engine builder today. Customer ran engine last year on pump. They did dyno with a blend. At 11.5 to 1 I don't feel there would be much to any gain. Every AFR headed deal we've done to date seems happiest with about 30* total timing on pump 92. Can't speak to how race fuel would affect this but in other applications we've seen a need for more timing on better fuel. You missed me.....that's a lot of timing for a modern BBF cylinder head. The 598 had 29.5*. Lem said he has a new set of P-51's maybe they can run the cnc program on them and not do any hand work to them and slap them on the same long block for a test. CNC head vs CNC head. Whether or not a cylinder port is CNC machined makes absolutely no power difference from a good hand ported head; that CNC port was modeled after somebody's hand ported offering. Lem Evans wrote: The 598 had 29.5*. The AFR headed 528 in my car runs best on the real world dyno with 32* at 6000' elevation. That's with a mix of 91 octane pump gas and Race Gas Concentrate which nets about 98 octane. Figuring 1/2* for every 1000 feet, 29-30 at lower elevations would be about right. Carl,i've read that Race Gas works good you've had good results with it? 68galaxie wrote: Interesting "truthful" dyno testing. 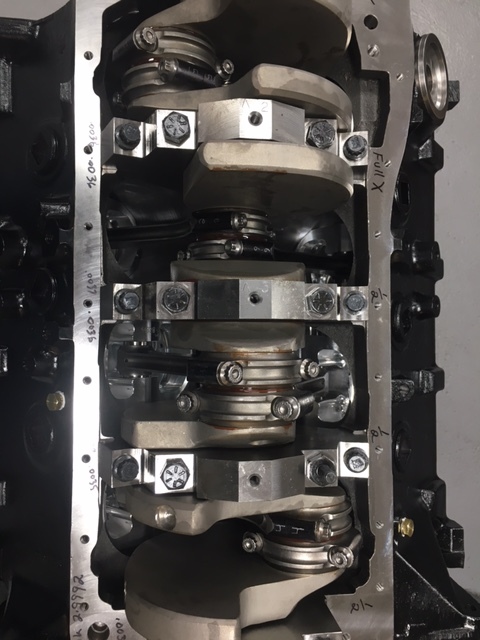 The camshaft was very similar to the one used in the test Kaase did (comparing P51 to hemi). 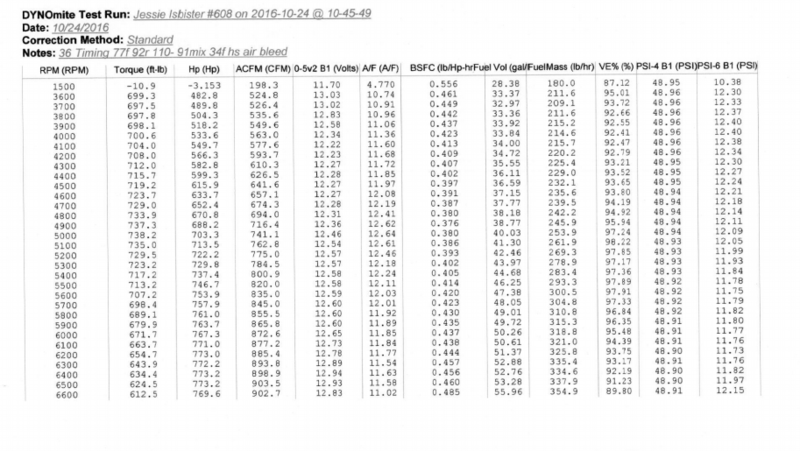 The P51 seems 100 HP down from the Kaase test to the AFR test. I find it hard to beliece a 521 with P51 heads and a resaonably large solid roller camshaft would only touch 700 HP. Someone is full of something here. Who am I to argue with AFR published test data? Those P-51's were as cast out of the box. Is this what you mean by "slanted test' post on the Bullet? The TFS 325 is CNC finished. The AFR is partial CNC finished. Maybe a ported P-51 would be a fairer test. Rub on the AFR as well. While we're at it , bolt a pair of slicks to the dyno and see how it goes down the track. Lot a variables. This ain't the whole story. I agree 100%. CNC is copy machine. It takes the talent of cylinder head porter and duplicates that work over and over and over again. Yeah, I like it. Turns the plugs orange, but seems to work well. I tend to run straight pump gas on the street and add the Race Gas for racing. Have also found myself in areas with nothing but 85 octane, and used the Race Gas to get the octane up over 90. It's nice to be able to carry a few bottles in the trunk for those kinds of situations. There's more power yet to get. That engine is pig fat at the top of the pull. Opening up the high speed bleeds at least .003" will help that. The goal was 700HP for the build. My engine builder looked good, the customer was pleased. So all goals were achieved. What are you running for static c/r Carl? Chris I get all of that. Maybe not but, I suspect that the builder was a Chevy guy....hence the low expectation for power and the primal urge to put 36-44* of timing in everything. Relative to the low expectations.....I'll try to post a picture of the dyno of a 528" engine with the 'lowly' M-6049-SCJB heads. 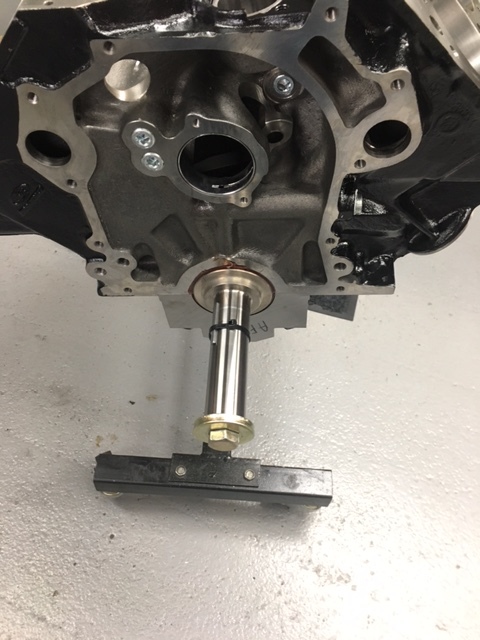 SCJ Back cut intake valves - 2.200"
Unported Victor......I mean not even CJ/SCJ port matched at the exit. Baby roller cam 260* @ .050"....this deal is gonna be fun. My point is.....Chevy guys need to know how easy 700 is. Thanks,man only 85 octane fuel?We don't have anything lower than 87 octane here in Northeast,Ohio actually the one Sunoco station has 87,89,91 and 93 octane!!! So let me try to get this right....and correct me if Im wrong. The AFR heads are a quality product, and they are better 'out of the box' than a P-51 or SCJ head, yes? But with some porting, the P-51 and SCJ's would make more power than the AFR's, yes? But with further porting on the AFR's, they would out perform the P-51 and SCJ's, yes? Has anyone done any custom porting on a set of AFR's yet? ?....I mean like somewhat beyond the out of the box CNC job that they already have?? If so, it would be interesting to see the comparison of the CNC version against a hand ported version. As I understand it, a set of P-51 or SCJ heads still needs the intake to be ported/matched to the heads (if one wants to optimize their combo), but the AFR intake matches the AFR heads a lot better right out of the box, yes? Standard octane grades at higher elevations are 85/87/91, and in a lot of rural areas there's no demand for 91 so they don't carry it. You can easily find yourself 50+ miles from the nearest 91 octane, and even then it might be old because nobody buys it. BBFTorino wrote: So let me try to get this right....and correct me if Im wrong. I will have a dyno test in April of a 521 with some pretty well worked over P 51 cylinder heads but it won't be quite like most engines that that are posted here as it will have a worked over Weiand tunnel ram instead of the "normal" single four. 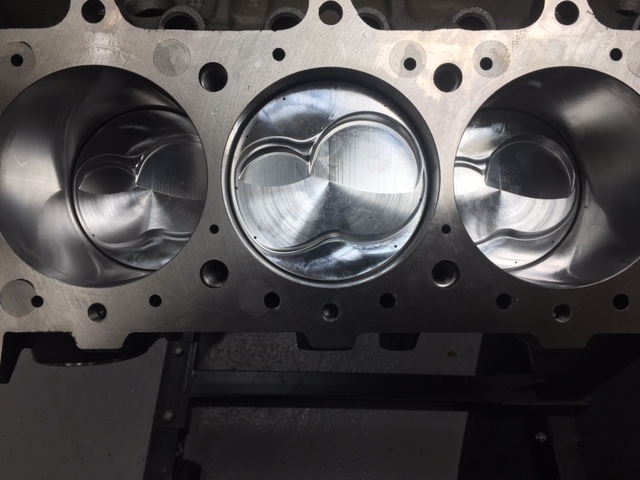 These heads I have show 417 cfm on the intake and 284 on the exhaust but it should show some relavance to this this post as the flow result of my heads are what I consider pretty good as the intake side of my heads showed 377 before being worked over. 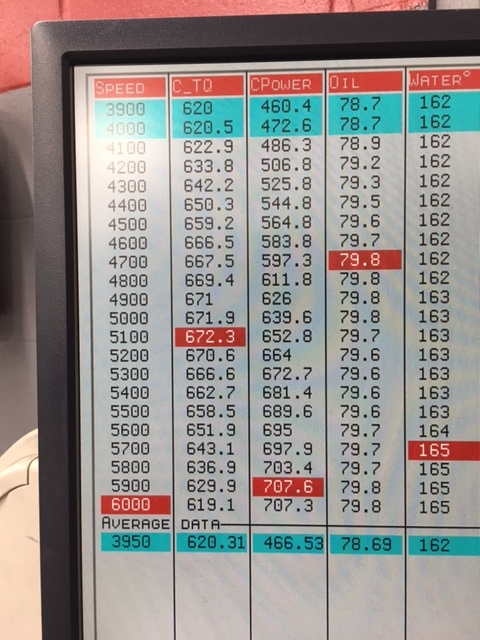 Simply wanting the best AVERAGE power, (cam was merely 252@.050"), it made peak horsepower of 762 @6,800 RPM. Charlie Evens had anther 470 with those heads and manifold which was very similar. I am really hoping for something close to 800 hp but like I say I am a realist. dfree383 wrote: I’m going to go out on a limb hear and say I don’t think any of the castings have any advantage over each other as cast. Imo who’s doing the porting and valve job on the castings (whether custom or out of the box) does dictate what you get, but ultimately once you get to the 400-410 cfm I’m not convinced gaining more airflow equates to more power or going faster. I’m also starting to think the valve location on these low port heads does nothing but make a good show on the flow bench and does nothing to make things go faster either, if it is a gain it’s not big or may even go unnoticed, but same goes with the port entry shape be it square or round. All this AFR voodoo is is a good marketing deal and an out of the box product that make life simple for bolt on guys, all the other quality heads, TFS, P-51, Eddy, BT, SCJ, A429 and even factory iron all have the same potential if you put the time in them. All those you mention Dave with a CJ style intake port opening are pretty close. Been saying that for a long time. I predict someone will break a 1000 HP with iron CJ's, D00E-R. It's takes some planning and skill too. The right match of parts as well. Is that 14.4-1 with the 75 CC chamber? No main studs.... must be a front sump package with a pan that has a screen?